Skud at Geek Feminism Blog has created a wiki documenting work she and her colleagues are doing to “draft a comprehensive list” of those who would be harmed by a policy banning pseudonymity and requiring “real names”. The result is impressive. The rigour Skud and colleagues have applied to their quest has produced an information payload that is both illuminating and touching. Those of us working on identity technology have to internalize the lessons here. Over-identification is ALWAYS wrong. But beyond that, there are people who are especially vulnerable to it. They have to be treated as first class citizens with clear rights and we need to figure out how to protect them. This goes beyond what we conventionally think of as privacy concerns (although perhaps it sheds light on the true nature of what privacy is – I'm still learning). Often people argue in favor of “Real Names” in order to achieve accountability. The fact is that technology offers us other ways to achieve accountability. By leveraging the properties of minimal disclosure technology, we can allow people to remain anonymous and yet bar them from given environments if their behavior gets sufficiently anti-social. But enough editorializing. Here's Skud's intro. Just remember that in this case the real enlightenment is in the details, not the summary. economic harm such as job loss, loss of professional reputation, etc. Wait a minute. Just got a note from the I Can't Stop Editorializing Department: the very wiki page that brings us Skud's analysis contains a Facebook “Like” button. It might be worth removing it given that Facebook requires “Real Names”, and then transmits the URL of any page with a “Like” button to Facebook so it can be associated with the user's “Real Name” – whether or not they click on the button or are logged into Facebook. First of all, I have to refer readers to the Office of Inadequate Security, apparently operated by databreaches.net. I suggest heading over there pretty quickly too – the office is undoubtedly going to be so busy you'll have to line up as time goes on. 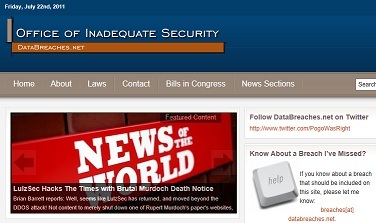 So far it looks like the go-to place for info on breaches – it even has a twitter feed for breach junkies. StudentCity first became concerned there could be an issue on June 9, 2011, when we received reports of customers travelling together who had reported issues with their credit and debit cards. Because this seemed to be with 2011 groups, we initially thought it was a hotel or vendor used in conjunction with 2011 tours. We then became aware of an account that was 2012 passengers on the same day who were all impacted. This is when we became highly concerned. Although our processing company could find no issue, we immediately notified customers about the incident via email, contacted federal authorities and immediately began a forensic investigation. According to the report to New Hampshire, where 266 residents were affected, the compromised data included students’ credit card numbers, passport numbers, and names. The FAQ, however, indicates that dates of birth were also involved. The credit card information was encrypted, but the encryption appears to have been decoded by the hackers. It appears they were able to write a script to decode some information for some customers and most or all for others. The letter to the NH AG’s office, written by their lawyers on July 1, is wonderfully plain and clear in terms of what happened and what steps StudentCity promptly took to address the breach and prevent future breaches, but it was the tailored letters sent to those affected on July 8 that really impressed me for their plain language, recognition of concerns, active encouragement of the recipients to take immediate steps to protect themselves, and for the utterly human tone of the correspondence. Kudos to StudentCity.com and their law firm, Nelson Mullins Riley & Scarborough, LLP, for providing an exemplar of a good notification. It would be great if StudentCity would bring in some security experts to audit the way encryption was done, and report on what went wrong. I don't say this to be punitive, I agree that StudentCity deserves credit for at least attempting to employ encryption. But the outcome points to the fact that we need programming frameworks that make it easy to get truly robust encryption and key protection – and to deploy it in a minimal disclosure architecture that keeps secrets off-line. If StudentCity goes the extra mile in helping others learn from their unfortunate experience, I'll certainly be a supporter. The argument that seems to have been been made to the DPP, Keir Starmer, on October 2010, by QC David Perry, is that voicemail has already been transmitted and is thus therefore no longer “in the course of its transmission.” Therefore a RIPA s 1 interception offence would not stand up. The DPP stressed in a letter to the Guardian in March 2011 that this interpretation was (a) specific to the cases of Goodman and Mulcaire (yes the same Goodman who's just been re-arrested and inded went to jail) and (b) not conclusive as a court would have to rule on it. We do not know the exact terms of the advice from counsel as (according to advice given to the HC on November 2009) it was delivered in oral form only. There are two possible interpretations of even what we know. One is that messages left on voicemail are “in transmission” till read. Another is that even when they are stored on the voicemail server unread, they have completed transmission, and thus accessing them would not be “interception”. Very few people I think would view the latter interpretation as plausible, but the former seem to have carried weight with the prosecution authorities. In the case of Milly Dowler, if (as seems likely) voicemails were hacked after she was already deceased, there may have been messages unread and so a prosecution would be appropriate on RIPA without worrying about the advice from counsel. In many other cases eg involving celebrities though, hacking may have been of already-listened- to voicemails. What is the law there? A common sense interpretation of this, it seems to me (and to Chris Pounder ) would be that messages stored on voicemail are deemed to remain “in the course of transmission” and hence capable of generating a criminal offence, when hacked – because it is being stored on the system for later access (which might include re-listening to already played messages). This rather thoroughly seems to contradict the well known interpretation offered during the debates in the HL over RIPA from L Bassam, that the analogy of transmission of a voice message or email was to a letter being delievered to a house. There, transmission ended when the letter hit the doormat. Fascinating issues. And that's just the beginning. For the full story, continue here. The Ecology Project was turning the Turing Test on its side, and setting up experiments to see how potentially massive networks of “SocialBots” (social robots) might be able to impact human social networks by interacting with their members. In the first such experiment it invited teams from around the world to manufacture SocialBots and picked 500 real Twitter users, the core of whom shared “a fondness for cats”. 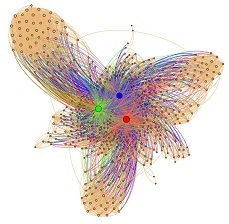 At the end of their two-week experiment, network graphs showed that the teams’ bots had insinuated themselves strikingly into the center of the target network. The Ecology Project source code is available here. Fascinating. We're talking very basic stuff that none-the-less takes social engineering in an important and disturbingly different new direction. As is the case with the use of robots for social profiling, the use of robots to reshape social networks raises important questions about attribution and identity (the Atlantic story actually described SocialBots as “fake identities”). Given that SocialBots will inevitably and quickly evolve, we can see that the ability to demonstrate that you are a natural flesh-and-blood person rather than a robot will increasingly become an essential ingredient of digital reality. It will be crucial that such a proof can be given without requiring you to identify yourself, relinquish your anonymity, or spend your whole life completing grueling captcha challenges. I am again struck by our deep historical need for minimal disclosure technology like U-Prove, with its amazing ability to enable unlinkable anonymous assertions (like liveness) and yet still reveal the identities of those (like the manufacturers of armies of SocialBots) who abuse them through over-use. Regular readers will have come across (or participated in shaping) some of my work over the last year as I looked at the different ways that device identity and personal identity collide in mobile location technology. In the early days following Google's Street View WiFi snooping escapades, I became increasingly frustrated that public and official attention centered on Google's apparently accidental collection of unencrypted network traffic when there was a much worse problem staring us in the face. Unfortunately the deeper problem was also immensely harder to grasp since it required both a technical knowledge of networked devices and a willingness to consider totally unpredicted ways of using (or misusing) information. As became clear from a number of the conversations with other bloggers, even many highly technical people didn't understand some pretty basic things – like the fact that personal device identifiers travel in the clear on encrypted WiFi networks… Nor was it natural for many in our community to think things through from the perspective of privacy threat analysis. This got me to look at the issues even more closely, and I summarized my thinking at PII 2010 in Seattle. A few months ago I ran into Dr. Ann Cavoukian, the Privacy Commissioner of Ontario, who was working on the same issues. 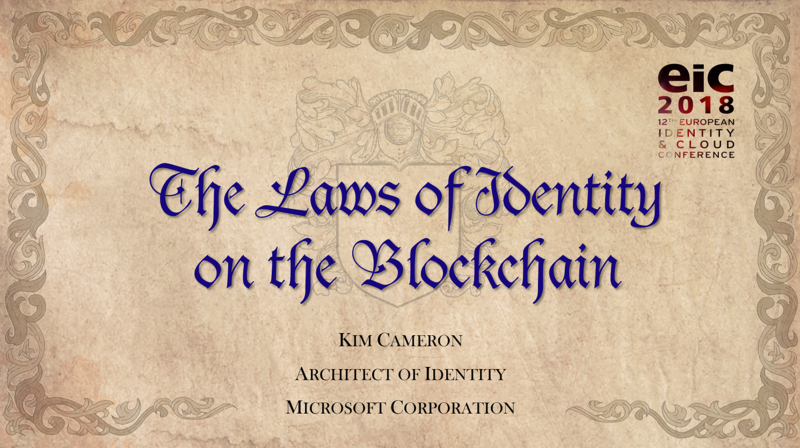 We decided to collaborate on a very in-depth look at both the technology and policy implications, aiming to produce a document that could be understood by those in the policy community and still serve as a call to the technical community to deal appropriately with the identity issues, seeking what Ann calls “win-win” solutions that favor both privacy and innovation. Ann's team deserves all the credit for the thorough literature research and clear exposition. Ann expertly describes the policy issues and urges us as technologists to adopt Privacy By Design principles for our work. I appreciate having had the opportunity to collaborate with such an innovative group. Their efforts give me confidence that even difficult technical issues with social implications can be debated and decided by the people they affect. Please read WiFi Positioning Systems: Beware of Unintended Consequences and let us know what you think – I invite you to comment (or tweet or email me) on the technical, policy and privacy-by-design aspects of the paper. My work status has gone through “some changes” recently. A number of readers have written to me about Mary Jo Foley's report on a “goodbye party” thrown at Microsoft a few weeks ago when I officially gave up my role as Chief Architect of Identity. Others saw Vittorio Bertocci‘s kind recollection of the progress we made over the years. When Tim Cole interviewed me about my plans a few days later at the European Identity Conference, I hadn't made the slightest progress in terms of thinking about my future… I did say, though, that I hoped to keep my hand in the identity and social computing space to the extent that people found my input useful. One way to do this was to look for opportunities to participate in interesting efforts on a per-project basis. It turns out that within a few days I was asked to do this with Microsoft over the summer. Not exactly a complete change (!) but it still feels liberating and different. Takeaway: Life is good, and even more than ever, this blog represents my own views, which can't be blamed on anyone else even when I wish they could. In Europe there has been a lot of discussion about “the Right to be Forgotten” (see, for example, Le droit à l’oubli sur Internet). The notion is that after some time, information should simply fade away (counteracting digital eternity). In America, the authors of the Social Network Users’ Bill of Rights have called their variant of this the “Right to Withdraw”. Whatever words we use, the right, if recognized, would be a far-reaching game-changer – and as I wrote here, represent a “cure as important as the introduction of antibiotics was in the world of medicine”. Against this backdrop, the following report by CIARAN GILES of the Associated Press gives us much to think about. It appears Google is fighting head-on against the “the Right to be Forgotten”. It seems to be willing to take on any individual or government who dares to challenge the immutable right of its database and algorithms to define you through something that has been written – forever, and whether it's true or not. MADRID – Their ranks include a plastic surgeon, a prison guard and a high school principal. All are Spanish, but have little else in common except this: They want old Internet references about them that pop up in Google searches wiped away. In a case that Google Inc. and privacy experts call a first of its kind, Spain's Data Protection Agency has ordered the search engine giant to remove links to material on about 90 people. The information was published years or even decades ago but is available to anyone via simple searches. Scores of Spaniards lay claim to a “Right to be Forgotten” because public information once hard to get is now so easy to find on the Internet. Google has decided to challenge the orders and has appealed five cases so far this year to the National Court. Some of the information is embarrassing, some seems downright banal. A few cases involve lawsuits that found life online through news reports, but whose dismissals were ignored by media and never appeared on the Internet. Others concern administrative decisions published in official regional gazettes. In all cases, the plaintiffs petitioned the agency individually to get information about them taken down. And while Spain is backing the individuals suing to get links taken down, experts say a victory for the plaintiffs could create a troubling precedent by restricting access to public information. The issue isn't a new one for Google, whose search engine has become a widely used tool for learning about the backgrounds about potential mates, neighbors and co-workers. What it shows can affect romantic relationships, friendships and careers. For that reason, Google regularly receives pleas asking that it remove links to embarrassing information from its search index or least ensure the material is buried in the back pages of its results. The company, based in Mountain View, Calif., almost always refuses in order to preserve the integrity of its index. A final decision on Spain's case could take months or even years because appeals can be made to higher courts. Still, the ongoing fight in Spain is likely to gain more prominence because the European Commission this year is expected to craft controversial legislation to give people more power to delete personal information they previously posted online. Many details about the Spaniards taking on Google via the government are shrouded in secrecy to protect the privacy of the plaintiffs. But the case of plastic surgeon Hugo Guidotti vividly illustrates the debate. In Google searches, the first link that pops up is his clinic, complete with pictures of a bare-breasted women and a muscular man as evidence of what plastic surgery can do for clients. But the second link takes readers to a 1991 story in Spain's leading El Pais newspaper about a woman who sued him for the equivalent of euro5 million for a breast job that she said went bad. By the way, if it really is true that the nothing should ever interfere with the automated pronouncements of the search engine – even truth – does that mean robots have the right to pronounce any libel they want, even though we don't? In my view the Commercial Privacy Bill of Rights drafted by US Senators McCain and Kerry would significantly strengthen the identify fabric of the Internet through its proposal that “a unique persistent identifier associated with an individual or a networked device used by such an individual” must be treated as personally identifiable information (Section 3 – 4 – vii). This clear and central statement marks a real step forward. Amongst other things, it covers the MAC addresses of wireless devices and the serial numbers and random identifiers of mobile phones and laptops. Despite these real positives, the bill as currently formulated leaves me eager to consult a bevy of lawyers – not a good sign. This may be because it is still a “working draft”, with numerous provisions that must be clarified. For example, how would the population at large ever understand the byzantine interlocking of opt-in and opt-out clauses described in Section 202? At this point, I don't. And what does the list of exceptions to Unauthorized Use in Section 3 paragraph 8 imply? Does it mean such uses can be made without notice and consent? Senators John Kerry (D-MA) and John McCain (R-AZ) have introduced the “Commercial Privacy Bill of Rights Act of 2011,” aimed at protecting consumers’ privacy both online and offline. The Bill endorses several “Fair Information Practices,” gives consumers the ability to opt-out of data disclosures to third-parties, and restricts the sharing of sensitive information. But the Bill does not allow for a private right of action, preempts better state privacy laws, and includes a “Safe Harbor” arrangement that exempts companies from significant privacy requirements. EPIC has supported privacy laws that provide meaningful enforcement, limit the ability of companies’ to exploit loopholes for behavioral targeting, and ensure that the Federal Trade Commission can investigate and prosecute unfair and deceptive trade practices, as it did with Google Buzz. For more information, see EPIC: Online Tracking and Behavioral Profiling and EPIC: Federal Trade Commission. 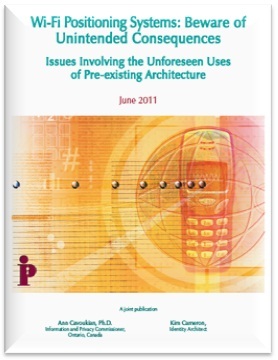 … 56 transmitted the phone's unique device identifier to other companies without users’ awareness or consent. Forty-seven apps transmitted the phone's location in some way. 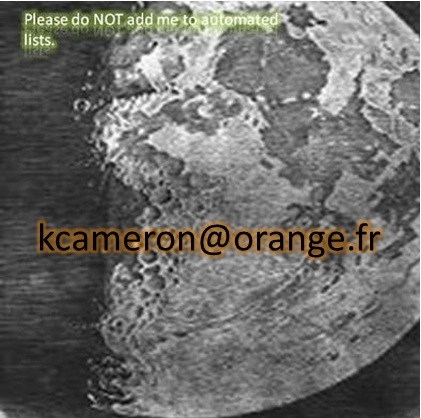 Five sent a user's age, gender and other personal details to outsiders. At the time they were tested, 45 apps didn't provide privacy policies on their websites or inside the apps. In Pandora's case, both the Android and iPhone versions of its app transmitted information about a user's age, gender, and location, as well as unique identifiers for the phone, to various advertising networks. Pandora gathers the age and gender information when a user registers for the service. The probe centers on whether app makers violated the Computer Fraud and Abuse Act, said the person familiar with the matter. That law, crafted to help prosecute hackers, covers information stored on computers. It could be used to argue that app makers “hacked” into users’ cellphones. The elephant in the room is Apple's own approach to location information, which should certainly be subject to investigation as well. The user is never presented with a dialog in which Apple's use of location information is explained and permission is obtained. Instead, the user's agreement is gained surreptitiously, hidden away on page 37 of a 45 page policy that Apple users must accept in order to use… iTunes. Why iTunes requires location information is never explained. The policy simply states that the user's device identifier and location are non-personal information and that Apple “may collect, use, transfer, and disclose non-personal information for any purpose“. More empirically, I demonstrated in Non-Personal information, like where you live that the combination of device identifier and location is in very many cases (including my own) personally identifying. This is especially true in North America where many of us live in single-family dwellings.